Prestige vehicles are all about perfection. From the performance delivered by the engine to the grip of the tyres to the road, every element needs to be at its best in order to provide that sense of luxury and exclusivity. Likewise, the aesthetics of your prestige vehicle need to be at their very best, with the paintwork and exterior finish critical to the appeal of your vehicle. At Alexanders Prestige, we will help preserve that look of perfection that is so integral to the enjoyment of your vehicle with Gtechniq ceramic paint protection. Renowned for the high quality protection it affords paintwork, Gtechniq’s selection of products is held in high regard by some of the world’s most acclaimed companies - including Boeing and Koenigsegg - providing you with the peace of mind that only the very best protection is available. It’s not only protection that the Gtechniq product lineup provides. Treated surfaces will shine like never before, bringing to life the paintwork and returning an as-new gloss that will ensure the prestige of your vehicle really stands out. 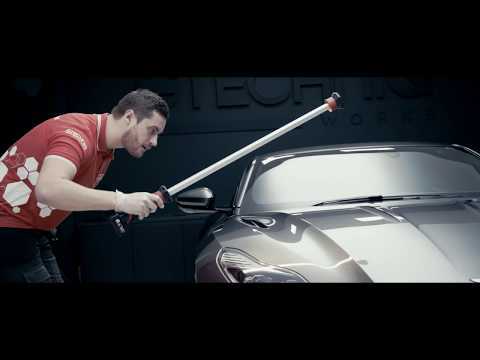 Gtechniq’s paint protection products includes the Gtechniq Crystal Serum Light coating. This serum provides a high-gloss and ultra-durable coating to your vehicle that is far more resistant than regular products, able as it is to withstand extreme temperatures at both ends of the scale. Plus, the gloss levels are such that the look of your vehicle’s paintwork will remain pristine for a duration ranging from three to five years. Additional Gtechniq products available with Alexanders Prestige, meanwhile, include the acclaimed C1 Crystal Lacquer - a durable and tough weathering coating that helps retain the glossy look of your vehicle. For more information on the Gtechniq products and services available for your vehicle at Alexanders Prestige, get in touch with our experienced aftersales team today. We know how important it is to keep your vehicle in prime condition, so only offer the very best products from this acclaimed manufacturer.